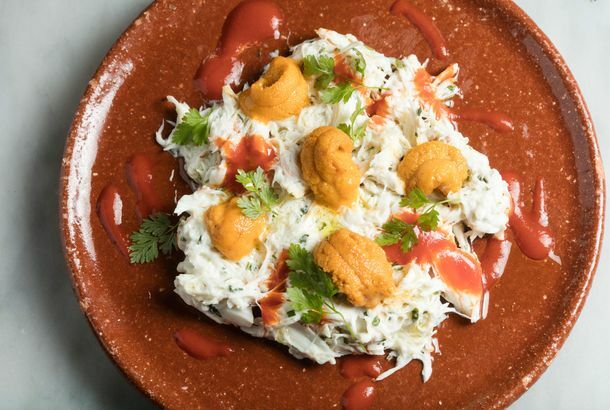 Bar Jamón’s New Spanish Menu Includes Beef Tartare and Potato Chips With CaviarThis is the first overhaul of the restaurant since it opened in 2004. Bourdain vs. Waters; the Chocolate Bar Returns to the West VillagePlus: Panificio shutters, and New York’s smallest bars, all in our morning news roundup. The Ham That Drives Men Mad New York Magazine has gone Spain-crazy this week. Adam Platt sates his bottomless hunger at Boqueria, and Rob Patronite and Robin Raisfeld interview Spain’s most illustrious chef, Ferran Adrià of El Bulli. Let Grub Street pile on, then, with talk of the secret society of Spanish pork. This society may be unofficial, but we belong to it. It is made of men and women who have tasted the meat of the celebrated pata negra, or black-foot pig, and will do anything for more. “Once you taste ibérico, you can’t compare it to anything else,” Bar Jamón chef Andy Nusser has said. The society’s holy grail, though, remains tantalizingly out of reach for Americans — even ones with a deep affinity for Spain.